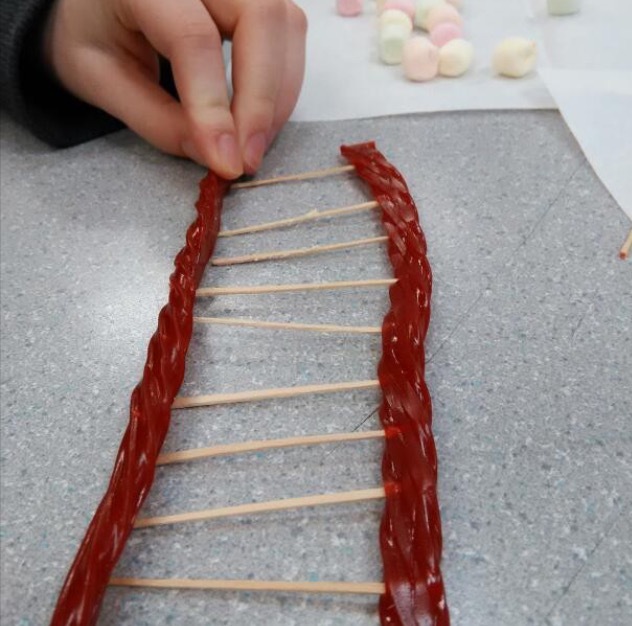 This morning in my A block which is science we started Biology. We learned about the coding thing for cells. 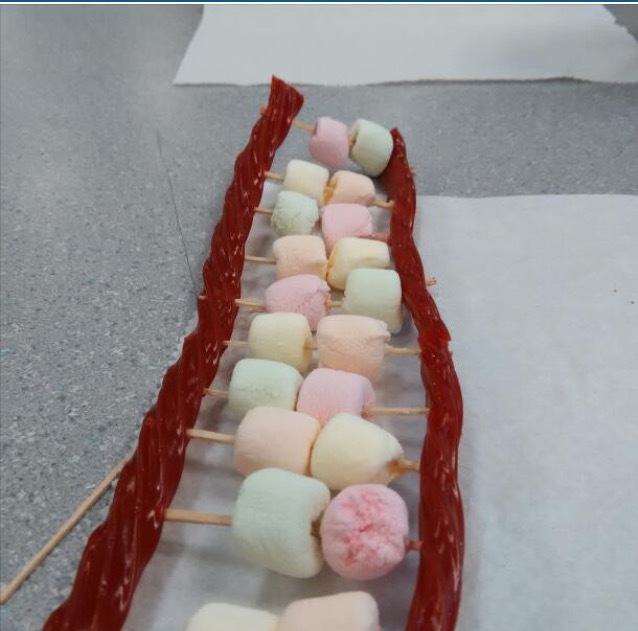 we also did an experiment to better our understanding for this lesson. me and my partner (Noah)built a DNA model. the outer portion which is the Sugar and phosphate was represented by licorice. 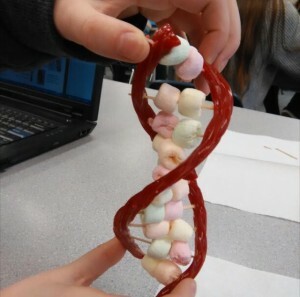 the marshmallows represent the 4 letters that exist in the DNA world. (Guanine) G = green. (cytosine) C = pink (Adenine) A = yellow and (Thymine) T = orange. the tooth picks strung them together.